CHAMBERS/ LIBERTY COUNTYEarly voting will begin next week for the May 14 municipal and school board elections in West Chambers and Liberty Counties. Early voting is May 2 through May 10. Peters and Yeager have filed for reelection. Grimes will not seek reelection. Bob Reynolds will challenge Peters for the Position 3 seat, while Roger L. King will attempt to unseat Yeager. Joey McWilliams, is now the sole candidate for Position 5. In Old River-Winfree, a lack of candidates caused the election to be cancelled. Only the incumbents, Position 2 Alderman Colleen Fontenot and Position 4 Alderman Adonna Creel, as well as Mayor Joe Frank Landry have filed for the ballot. Beach City is in the same circumstance. They have three at-large positions open, and only three candidates on the ballot: Jackie Lasater, Ray Smith and Paul Newman. The big issue on the Barbers Hill ballot is two bond referendums. Voters will be asked to approve bond issues of $65.2 million and $9.8 million. The first bond would be used to build three new campuses and purchase new school buses, while the second would go to facility improvements and an intercampus roadway. Early ballot can be cast at the C.T. Joseph Conference Center at the middle school campus, 9600 Eagle Dr.
Four candidates are seeking three at-large positions on the Dayton City Council. They are Barbara Zaruba, Eliza Mae Guidry, Danny Jones and Greg Hayman. The top three vote-getters will be elected to council. Felix Skarpa is unopposed in his reelection bid for mayor. The only opposed race for the Dayton ISD Board of Trustees is between Linda Harris and Mark Sjolander. Early voting for the two Dayton races will be held at the Dayton City Hall, 117 Cook St.
MCNAIR Police are waiting for an extradition order to bring back a man whom they say gunned down a McNair man while they argued on a public street. 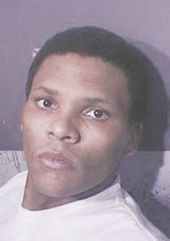 On April 21, Yantsey Gonzales, black male, 33 years of age was charged with the murder of Eric Allen. Gonzales is believed to be confined to a wheelchair, due to injuries sustained from a previous shooting incident. According to the Harris County Sheriffs Office on April 20, at approximately 6:05 p.m.., deputies with the Harris County Sheriffs Office responded to a shooting in the 2700 block of Waco, in McNair. Upon arrival, deputies discovered a 22 year old black male, identified as Eric D. Allen, shot to death in the roadway. Witnesses advised that a white Ford Edge (SUV), driven by a black male, stopped in the roadway. The driver was later identified as Gonzales. Allen, approached the vehicle on foot and argued with the driver. Investigatiors believe Gonzales produced a pistol and shot Allen, one time, killing him. Gonzales then fled the scene in the Ford Edge. Deputies determined the Ford Edge was a rented vehicle and displayed Texas license plate # BF1P512. The Ford Edge was been entered as a Wanted Felony Vehicle. On April 22, at approximately 3:30 A.M., members of the Gulf Coast Violent Offenders Task Force (GGVOTF) and the Calcasieu Parish Sheriffs Office, arrested the defendant, Yantsey Gonzales, at a motel room, in Sulphur, Louisiana. Homicide investigators with the Harris County Sheriffs Office Homicide Unit traveled to Sulphur, where they interviewed Gonzales. The suspects vehicle, a white Ford Edge, rental car, was recovered from a residence in Sulphur. Gonzales is currently being held in the Calcasieu Parish Jail, on the murder charge, and is awaiting extradition back to Harris County, Texas. 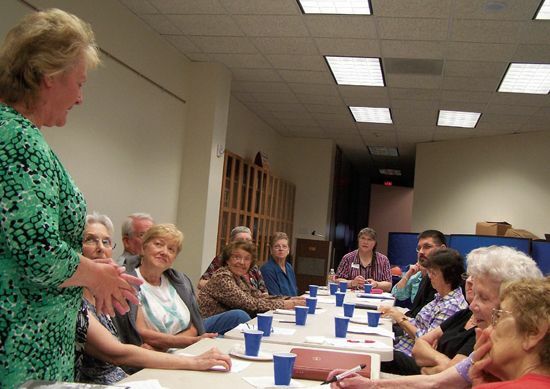 CROSBY  Dr. Keith Moore, Superintendent of Crosby ISD, spoke with Friends of the Crosby Library and help start Crosby Education Foundation last week. 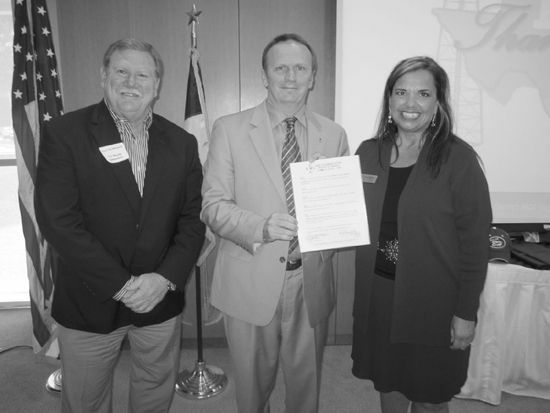 On Monday, at the Crosby Library, Dr. Keith Moore and Mrs. Joanne Crawford of Crosby ISD School Board presented statements concerning a range of interests in the community. Dr. Moore answered questions concerning how the local school district is reacting to the States budget shortfall and the operations of schools. Crosby ISD is braced to handle a shortfall of about $3.1 Million even as it is meeting state requirements in testing. As of now, the district is planning to meet the demand for less faculty by not hiring to fill positions that will be vacated. This preparation is ongoing, out of necessity, although the Legislature has yet to come to agreement about how much that shortfall will be. In surrounding districts hundreds of first or second year teachers are being laid off. Although the staffing will be slightly smaller there will not be pink slips handed out to entire sections as elsewhere. Currently it is believed that the impact may even be less than the $3.1 Million, possibly as little as $2.3 Million is being projected. One of Dr. Moores initial programs was to focus on updating re-mediation programs including Mathematics with the aim of reducing student drop out rates at the High School. Local schools are working with the unfunded mandates in education that has moved the district to spend about 56 days per year working on testing of varied types. There are some local districts that give about $1500 more per student than Crosby ISD but it is easy for me to be proud of running a more efficient district but you have to look at what they are dealing with and what they are accomplishing. Ive sent e-mails to legislators saying I understand that you have to cut education but it does not make sense to cut those that are already lean. You need to cut those that are already fat. They laymans example I give to my friends is that between my wife and I if you say we are gong to give you a reward if you lose 10 pounds I have the advantage because I weigh so much more than her. So how can you expect a school district to cut that is already lean against those that spend more per student. I am happy to say that what I have seen thus far the legislature is addressing that issue. The bill that I saw implemented before is called target revenue, that is a complicated system and it is how schools got funded about 6 years ago. The latest bill that I saw indicated that the legislature was going to eliminate target revenue, I think, by 2016. I give the credit for our viability to our school board I think there are very conscientious members that have been very careful of how funds are spent. We have a very student conscious and budget conscious school board. I think Crosby has made the hard and sound decisions. said Moore. The Crosby Education Foundation. The President is Earl Boykin and the Superintendent is Secretary. It is a nonprofit organization to be the vehicle in the community to support the schools. There will be fund-raising and participation with the intent of bestowing those funds only to the schools. The goal is to work in partnership with the schools to see that they have common goals. Currently there are 24 members. On May 3, there is to be a banquette to honor the top 5% of students. Next they intend to pull off getting a grant to reward innovative teaching methods. Memberships are still available for those interested in working with the district for better schools. While Hargrave High ranked in the top half of the group; Crosby, Sterling and Lee were in the lower half. Goose Creek Memorial was not ranked due to lack of available data. Hargrave ranked #54 on the list while Sterling was #87, Crosby was #88 and Lee was #106. High schools were ranked based on Texas Education Agency rankings, percentage of students making commended on the TAKS, graduation rates, average SAT and ACT college entrance test scores, student attendance rates and percentage of students in advanced placement classes. Hargrave was boosted by an 83.2% graduation rate. By comparison, Crosby is 73.3%, Sterling is 69.6% and Lee is 63.9%. Goose Creeks Gentry was the highest local school ranked at #88. Highlands Junior ranked #124. Huffman was #187 and Crosby was #207. Elementary school campuses were only ranked if first through fifth grade data was available or if the TEA paired them with another campus. Because of this, only Drew Intermediate was ranked for Crosby- #443 out of 589 schools. Huffman came in a #463. Goose Creeks best was Austin at #137. Highlands ranked #161 on the list. The highest ranked high school on the list was Houston ISDs DeBakey, while fellow HISD school Jones holds the distinction as the lowest ranked. Among middle schools, Houston ISDs T.H. Rogers was #1 and The Prep. Academy Charter School was #265. BAYTOWN Goose Creek CISD, like every school district in Texas, is preparing for significant cuts in state public education funding. However, Goose Creek CISDs plans as of late April do not include layoffs, pay cuts, furloughs, or school closures. Instead, the district will rely on a number of factors including the growth of the student population, staff resignations, cuts in administrative department budgets, and more to make up a shortfall that could range from $9 million to $25 million, or stated another way, a 5 to 15 percent cut from the Goose Creek CISDs current $170 million budget. The Texas House adopted its proposed budget that included about $7.8 billion in cuts to public education over the next two years. The Senate version is expected to be more generous. Actual state spending will be determined after the two bills are reconciled for final adoption. Most of the shortfall was created when the state overhauled the business tax structure and the school finance system in 2006. The new tax structure does not generate enough money to offset state-mandated decreases in school property tax rates, creating a $10 billion budget hole in every budget cycle until the Legislature fixes it. In 2006, the Texas Legislature reduced the revenue school districts received from property taxes by 33 percent. At that time, they committed to schools and to local taxpayers that they would replace that amount through a business margins tax and other means, said Ken Martin, Goose Creek CISD Board president. It was clear in the 2007 legislative session that the legislatures actions would not raise the amount of money needed to make up the difference in revenue. They chose to do nothing, Martin said. In 2009, the shortfall was even larger. Again they chose to do nothing to meet their commitment. Now it is 2011 and the education shortfall is $8 billion. The legislature needs to make good on the commitment they made to schools and local taxpayers. Waiting until 2013 only means that the problem will be that much worse and that much harder to solve. It will not magically go away by itself, Martin said. Goose Creek CISD, the 57th largest school district in Texas, serves more than 21,000 students at its 26 campuses and employs nearly 3,000 folks, making Goose Creek CISD one of the largest employers in the greater Baytown area. Goose Creek CISD Superintendent Dr. Toby York said the school district has benefitted from a strategy of keeping the budget lean. Last year, the Goose Creek CISD budget was actually lower than the year before. That is expected to be the case again this year. One example of fiscal discipline is the $220 million bond issue approved in 2005. This project, the largest in district history, was completed under budget despite the skyrocketing costs of building materials. In fact, interest from that bond has been used to pay bond debt and keep taxes low. For the record, the school district projected that when the 2005 bonds were all sold, that residents should expect a maximum debt service tax rate of 35 cents. To date, Goose Creek CISD has stayed under that mark. GCCISD has worked very hard to be careful with taxpayers money. Because of this and the amount of funding we receive from the state, we are in better financial shape than most districts in the state. Regardless of what the state does this year, we will continue to focus on providing the best educational opportunities we can for all of our 21,000 students, said Dr. York. In response to expected massive cuts in state funding, Goose Creek CISD administration has found several ways the district can cut back without touching classroom personnel or services to students. As far as full-time employees, the numbers for Goose Creek CISD have not changed much in recent years. The total number of full-time employees at Goose Creek CISD has dropped from 2,903 in 2007 to 2,863 currently  even at a time when student enrollment was growing. However, through attrition, some positions may be eliminated. Also, a few teachers funded through federal grants that have expired will not return next year. So far, 128 employees  including some teachers  have resigned or retired this year. Saving teachers jobs is important in light of Goose Creek CISDs academic successes having reached new heights in recent years. Goose Creek CISD is a Recognized district for the second year in a row. In addition, nine Goose Creek CISD schools have earned exemplary status  the most in district history. Of the districts 13 other schools, 12 were recognized. The districts growth will also help. Goose Creek CISD expects to add another 300 or more students next year, and each will add more funding from the state. To make up the rest of the expected shortfall, the district has devised ways to cut costs with the least effect on instruction.  15 percent reduction in department budgets for next school year for expected savings of $3. 4 million.  15 percent reduction in per pupil allotments for campus budgets for expected savings of $ 300,000.  Eliminate block scheduling at junior schools for expected savings of approximately $2 million to $2.5 million.  Further implementation of energy management plan with an expected savings of $400,000.  May adjust school start times to reduce transportation costs saving approximately $482,000. Furthermore, Goose Creek CISD has campus-staffing guidelines and, in prior years, the district has been able to have additional positions above and beyond these guidelines. Beginning with the 2011-12 school year, the district will enforce these guidelines, and as such some class sizes in the secondary schools could increase. York believes the proposed budget reductions combined with the districts healthy fund balance of $50 million would buy at least another year without drastic cuts. MONT BELVIEU Last week, the West Chambers County Chamber of Commerce Board of Directors voted to give their unanimous support to Barbers Hill ISDs $75 Million Bond Referendum. The referendum will be on the ballot May 14, in concurrence with the election for School Board positions 3 and 4. The school says an average growth rate of five percent each year during the past decade, with similar projections for future growth, as the critical factor in calling for the $75 million bond referendum. The call for a bond election followed a recommendation presented Monday by the community Growth Committee, which has met during the past four months to assess district needs. For voters, bond approval would mean an average tax increase of 1.6% each year for four years. On a $153,000 home (the average home value in BHISD), that equates to approximately $23 per year, or a total of $92 in four years. Following Growth Committee recommendations, Board members divided the bond into two propositions: Proposition One, totaling $65.2 million, addresses classroom space. Proposition Two, totaling $9.8 million, includes classroom expansion for band, choir, theater arts and drill team to address overcrowding in auxiliary programs, an inner-campus road, and safety upgrades and other improvements to athletic facilities. Proposition One would provide three new elementary campuses. One campus would house grades 4-5 and would be built adjacent to the current Elementary School, with the two campuses sharing facilities such as the cafeteria and library. Two additional elementary campuses would be built in the same shared-facilities design  one for grades 2-3 and the other for grades 4-5. The Proposition Two primarily addresses the need for more space for the 150-plus member Soaring Eagle Band, choir, drill team and defending State Champion Theater Arts program. The inner-campus road would help alleviate traffic on Eagle Drive. Athletic facility upgrades would address critical needs for safety compliance in the visitors seating at Eagle Stadium. It would additionally provide restroom facilities for the auxiliary track and field that is used daily by four campuses as well as community members. Since its inception in 1929, Barbers Hill ISD has had twelve bond referendums and all have passed with the most recent bond election occurring in 2005. Early voting for the bond election will be held April 27  May 10, followed by Election Day on Saturday, May 14. For more information, visit www.bhisd.net. Sheila Muhs Muhls was sentenced to Life in Prison for the 2009 murder of Donald Coffey IV last week. She will not be eibible for patrol for the next 28 years. The conviction, which took about five hours of deliberation, stemmed from an incident on May 7, 2009 in which Gayle and Sheila Muhs allegedly fired at least two shotgun blasts at a pair of packed cars that stopped outside their house south of Dayton. Police said the families in the two cars were driving on a public road levee when the Muhs opened fire from their house, killing Donald Coffey IV and hitting three others, including the boys 5-year-old sister. Ken DeFoor, who was serving as Liberty County Sheriffs Department Chief Deputy at the time of the shooting said it was the most external violent reaction to something so blatantly, blatantly minor hes ever seen. Police got a 911 call just after 9 p.m. DeFoor said, from Sheila Muhs who reported there were people in jacked up four-wheel automobiles … and that she shot them. She also reported that the vehicles were destroying the nearby levees. The Coffey family  mom Becky, dad Donald III and their three children  were visiting friends along with Patrick Cammack and Cindy Nelton in the Muhs neighborhood. The two families had planned to go off-roading at the nearby government-owned levees on the way home, an activity that is both popular and legal. In the Jeep were Cammack, 30, Donald Coffey III, 30 and Donald IV, 7. In the following Ford SUV were Becky Coffey, Nelton and the Coffeys 5-year-old daughter Destiny, and 11-year-old son. The families said they stopped on the county-owned road outside the Muhs home so one of the boys could go to the bathroom by the side of the road. Thats when, police said, the couple ran out of their house. At that point, Sheila Muhs is accused of firing at the vehicle. Her husband reportedly joined her and began to shoot as well. Police said that the Muhs began to pursue the Jeep as they continued the fire. Injured in the shooting was Destiny who had been shot in the elbow, Donald Coffey III shot in the shoulder and Cammack, who was driving the Jeep who was hit in the base of his skull. 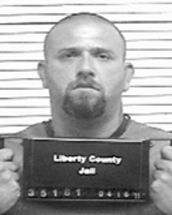 Donald Coffey IV, however, had been hit by several shotgun pellets in the face and head. He later died at an area hospital. DeFoor said police believe the Muhs may have fired as many as four shots from the 12-guage pump shotgun, each one spraying 15 pellets. Texas does have a castle law that allows property owners to shoot if someone is trespassing on their property at night. But that law, DeFoor said, did not apply in this case. DAYTONA party designed to celebrate the conviction and sentencing of Sheila Muhs for murder turned tragic when a 15-year old Dayton High student was killed. According to the Liberty County Sheriffs Office on April 16, at around 8 a.m. they received a call of a deceased person call in a ditch on C.R. 443 near F.M. 1409. The deceased was identified as Charli Gore, a 15- ear old teenager who lived in the Dayton/Indian Ridge area of Liberty County. Within hours of the initial call, the department received anonymous tips which led to the eventual arrest of two suspects Michael Shane Linkinhoker and girlfriend Cindy Nelton, who have been charged in her death. Linkinhoker is charged with Criminally Negligent Homicide and Nelton is charged with Making a False Report and interfering with a police investigation. The department said that previous night a  conviction party was being held off of CR 443, near the site of where Donald Coffey IV was murdered by Muhs. Earlier in the day Muhs had been sentenced to life in prison for the murder. Witnesses placed both Likinhoker and Gore at the party. It is believed that during the party and altercation occurred. Evidence also showed that at some point Gore left the party and began walking back toward FM 1409 when a vehicle intentionally ran into the ditch and struck her resulting in her death. When Linkinhoker was apprehended he was attempting to stash his vehicle on CR 4267 and was in the process of removing the license plates from the vehicle. 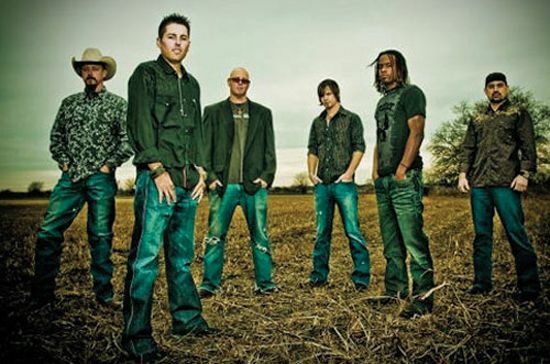 Casey Donahew Band plays Thurs., June 9 after Bradley Gaskin starts the music after real P.R.C.A. Rodeo Action. Josh Abbott Band plays after George Straits Band, Ace In The Hole Band leads off for Friday, June 10. Cory Morrow wraps up the Rodeo June 11 after Brandon Rhyder and the PRCA Rodeo action. 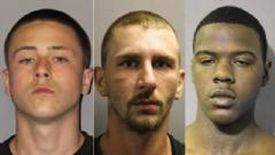 ATASCOCITA A Crosby teen is among three who have been arrested and charged with the capital murder of an Atascocita man. According to authorities, the death resulted from an attempted carjacking in Fryes home driveway. Fryes wife said that on April 11 Frye had gone to a local Redbox video machine to return a movie. She said that she became concerned when, hours later he had not returned. She discovered him in the driveway of their home in the 19900 block of Pine Wind Drive, with a gunshot wound. LA PORTE  Last Saturday a record crowd of about 30,000 visitors attended the San Jacinto Day and Reenactment and hear a special message from Congressman Ted Poe, R. 2nd Cong. Dist. concerning the values that led to the conflict and the importance of those values today. 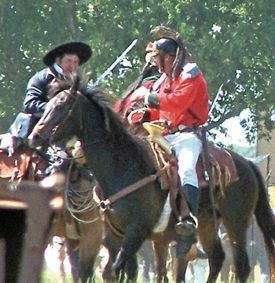 The reenactment commemorates the events of April 21, 1836 in which a force of somewhere between 783 and 900 Texian Revolutionaries defeated Generalissimo De Santa Anna by inflicting 630 deaths, 208 wounds and taking 730 prisoners. Texian casualties were said to be 23 wounded, 6 mortally and 3 killed also conflictingly recorded as 9 killed and 30 wounded. It would be Santa Anna De Lopez that would cross from Lynchs Ferry and take up positions in 3 Square miles surrounded by the San Jacinto River as General Sam Houston hatched a plan to make a surprise attack at Siesta making best use of Sidney Shermans Cincinnati, Ohio Kentucky Riflemen (avenging Davy Crockett) and bringing with them the Twin Sisters (2 six pound Napoleons.) The 18 minute battle converted more land to a new nationality than most major wars.